The first ever car that we had in our home was an Omni- E class... I spent the first week inside the car... Breakfast, lunch, studies... All happened inside the car... My pet dog, Bubbly never got my attention for one whole week... Bubbly got so wild, that he bit a piece of the leather mud guard... Omni E was the first car that I drove too. I named my car,"Reddy", not because I was caste fanatic but just because my car was red in colour. As those were the days of freaky computer games like Road rash and NFS, I had the tendency to kick and hit people when ever I hit the road. My dad never allowed me to drive the car as we had threemany drivers at home. My dad and sister were the other two. Safety was the first and foremost thing that my dad looked into and hence the safe drivers had the first priorities when it came to driving on the roads. My dad's defnition of a safe driver was guaged on the maximum speed hit by a driver on the road and hence I was labelled as the most un-safe driver in my family. A comparison Table is drawn here to show why I was labelled as the most unsafe driver in the family. To know the usage of the terms " Senior, Girlfriend...", the reader is requested to click HERE. As days progressed, I became the official driver of the car. Then one fine day, a gentleman came to our house and he and my dad signed a deed and finally I came to know that the car had been sold off. A new car came to my place and things started moving on in life... 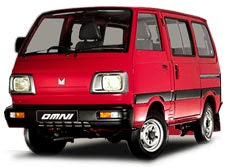 But whenever I see an Omni on the road, I pause for a moment and think about my big red omni. i got license less than a yr ago..guess i can relate myself to the post..
i love my bike more than anything else in the world!